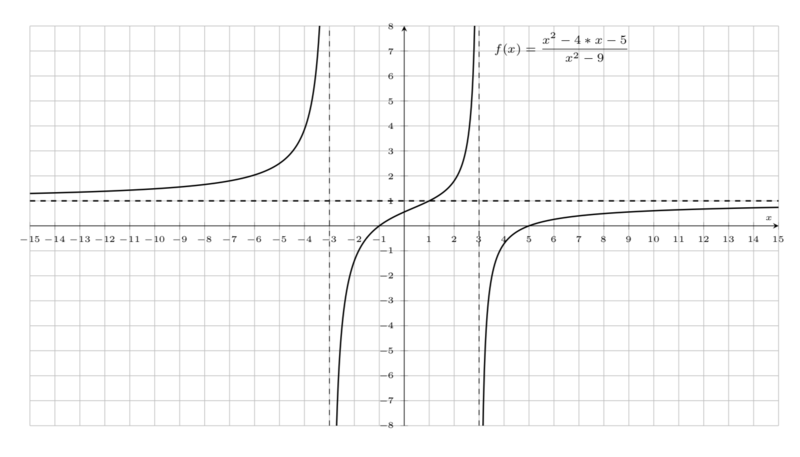 How can I plot vertical asymptote in my graph? I'm trying to plot vertical asymptotes in my graph but I can't. The issue is that you do not specify the compatibility version, so pgfplots runs in backwards mode. If you want to keep that, you need to add axis cs: to the coordinates in the draw mode. It is arguably simpler and better to specify a reasonably new version. which yields the same output. However, I would like to argue it is better to update the TeX installation because, apart from adding features, some real bugs have been fixed. How can I emphasise the vertical asymptotes in this plot?